Hit the refresh button every morning! This lovely daytime cleanser uses the power of vitamin C and potent antioxidants to revive the look and feel of your skin. Sure, it cleanses, but it also helps reduce the appearance of pores, even out the look of your skin tone and reduce dullness. We can all use a little bit more levity in our lives - start with a face wash that wants to empower you to be the most radiant version of yourself! Evoté Beauty capitalizes on the 24-hour circadian rhythm and the kinetics of your skin's normal turnover. Their products help target your skin at night - when your body naturally repairs and regenerates itself - while protecting it during the day. Nighttime is the optimal time for your body to naturally repair, protect, purify and rejuvenate your skin; that's why these formulas are so ingenious! During the day, your skin responds to your body's cues and acts as its first line of defense. This is the natural ebb and flow of the biological clock, and what scientists describe as the circadian rhythm. This evolutionary rhythm is the focus of Evoté Beauty and the life's work of Irena and Nik James. For three generations, the James family has devoted themselves to cosmetic ingredient research and education. Evoté Beauty is the culmination of their industry findings and the transcendence of their laboratory boundaries - beyond which, they reveal their anti-aging secrets to the world. This is the EVO-lution of skincare. Get on board! Dry skin is identified as skin severely lacking natural oil and moisture. Characteristics include roughness, flakiness, tightness, fine pore redness, pronounced fine lines around the eyes and mouth, and a thin, fragile texture. The skin may also appear flaky, ashy or dull from dead skin build up. If you have dry skin, you will need moisturizing products that nourish, so you will want to find protective and restorative products. Achieving a moisture balance with the right pH is key. Begin with a very mild soap, possibly cream based. Since your skin is acidic, the alkaline in soap can easily disturb the delicate pH balance. Also, make sure that the soap does not contain harsh chemicals which will also remove the acid mantel and cause further dryness. Choose a toner that soothes and nourishes your skin. It should refresh with a hint of moisture—a low or no alcohol formulation is recommended to prevent over drying the skin. A daily moisturizing routine is essential for dry skin. Begin with a serum to enhance moisture, then apply a day moisturizer. Try to use a day cream with an SPF Your evening ritual can include a serum application and a heavier moisturizer. Eye creams and serums are recommended for the delicate area around the eyes that are subject to fine lines and wrinkles. Use an extremely mild exfoliator in order to expose fresh skin and allow products to penetrate deeper. This will maximize the effectiveness of your skin care products. A moisture-enhancing mask that you put on and wipe off will moisturize and plump dry and dehydrated skin. Everyone can benefit from using a moisturizer after cleansing. The key is finding the appropriate moisturizer based on your skin type. Moisturizers seal moisture into the skin, so the effect is hydrating while also inhibiting evaporation. Many moisturizers contain active ingredients that deliver vitamins, minerals, antioxidants and skin supporting compounds to provide therapeutic benefits that sooth, protect and ultimately help delay the onset of early aging. Eye creams are optional, but may be desirable for those with dry or aging skin as a welcome addendum to a moisturizer. Some individuals have very delicate eye areas that are more susceptible to wrinkling, dark circles and puffiness. An eye cream can help address these specific concerns with intense moisture and a high concentration of active ingredients. The oilier your complexion, the lighter and more liquid your moisturizer should be. Some moisturizers even have oil free ingredients that still serve to moisturize the skin without adding oil. Conversely, dry or aging skin requires a more moisturizing-nourishing preparation. Use a moisturizer labeled with your skin type or specific skin concern. If you live in a particularly harsh climate, consider wearing a more moisturizing face cream during the winter and switch to a lighter formula during warmer months. Night creams tend to be thicker and more moisturizing than day creams. It is generally recommended to have separate moisturizers simply for the fact that you will want a day cream with a Sun Protection Factor (SPF). This will provide you with added protection from sun damage that can lead to premature aging. Based on the amount of time you spend outside on any particular day, you might want to wear a moisturizer designed for outdoor use with a significantly higher SPF. You must also factor in how easily your skin burns and take precautions to protect your skin with a sufficient SPF. As a general rule, it is recommended that your day moisturizer should have at least 15-20 SPF, and if you spend more time outdoors, consider a moisturizer with 30+ SPF. After you wash your face and apply toner or a serum (optional), scoop out enough moisturizer to comfortably cover your face and neck area. Using your fingertips, rub it in using upward strokes, making sure to moisturize the neck, décolletage and earlobes. In order to prevent streaks, allow your moisturizer to penetrate before applying foundation. When skin ages, its collagen and elastin are produced more slowly. This causes gradual changes like hyperpigmentation, discoloration, dryness, sagging, wrinkles, crepe-like folds, loss of muscle tone, textural unevenness and loss of elasticity. The topical application of key skin firming ingredients works synergistically to protect and strengthen the skin. Skin care products should have a combination of naturally occurring active ingredients. They will contain compounds to protect which will likely be in the form of extracts containing antioxidants. Another set of ingredients will firm the skin by penetrating through its seven layers to support the collagen process at a cellular level. Skin firming creams are usually formulated as night creams. They tend to be richer, thicker and more emollient and should be able to stay on long enough to absorb for maximum benefits. In general, face creams are designed to minimize lines/wrinkles, improve skin density, firm, plump and decrease puffiness (especially in the eye area). Many manufacturers describe their product as a "cocktail" of ingredients that work together to decrease the effects of aging. Skin firming and anti-aging ingredients often include antioxidants, minerals, seaweed, herb extracts and different kinds of oils like Vitamins A and E. Other ingredients attributed to having a firming effect on the skin include green tea, aloe vera, beech bud extract, alpha lipoic acids, shea butter, hyaluronic acid and the very exotic sounding emu oil. Some firming and anti-aging products also contain light reflecting pigments, such as mica, to enhance the glow and make the skin look radiant. You can choose the right skin firming creams according to your skin type (oily, combination or dry) and the anti-aging action associated with them. Aging skin may have any combination of wrinkles, sagging or slack skin around the jowls, chin, cheeks and jawline. It may also have evidence of sun damage (photo damage/hyperpigmentation) in the form of spots or leathery texture. The skin may also feel tight and dry. If you tend to have dry skin, you will need moisturizing products that nourish, so you will want to find protective and restorative products. Achieving a moisture balance with the right pH is key. Begin with a very mild soap, possibly cream based. Since skin can be acidic, the alkaline in soap can easily disturb the delicate pH balance. Also, make sure the soap does not contain harsh chemicals which will also remove the acid mantel and cause further dryness. Choose a toner that soothes and nourishes your skin. It should refresh with a hint of moisture - a low or no alcohol formulation is recommended to prevent over drying the skin. A daily moisturizing routine is essential to aging skin. After washing skin, pat it dry and begin with a serum to enhance moisture, then apply a day moisturizer. Try to use a day cream with an SPF An evening ritual can include a serum application and a heavier moisturizer. Eye creams and serums are recommended for the delicate area around the eyes that are subject to fine lines and wrinkles. Use an extremely mild exfoliator in order to expose fresh skin and allow products to absorb. This will maximize the effectiveness of your skin care products. A moisture-enhancing mask that you put on and wipe off will moisturize and plump skin that may be dry and dehydrated. When you cleanse your face, you can help control the clarity, suppleness and condition of your skin. Cleansing rids your skin of excess facial oil, dust, bacteria, dirt and dead skin cells. This process helps keep the pores unclogged, improves circulation, and prepares your skin for the next step in your cleansing ritual. Quite possibly the most fundamental step in the beauty routine, cleansing is integral to maintaining a balanced complexion. Cleansing is recommended twice per day for most skin types, once in the morning and once in the evening. Any more than that, the natural oils become stripped, while any less and your skin can become susceptible to congestion and eruptions. Choose a cleanser that is appropriate for your skin and is specifically formulated for the face. Dry skin types will need to use a creamy based cleanser, while oilier types will need a gel based or foaming type cleanser. Sensitive skin needs a fragrance-free formulation, most likely labeled as gentle and non-irritating. Tie your hair back with a headband or ponytail holder. Make sure to start with clean hands. Splash your face with warm or tepid water to open up your pores. Never use too hot or too cold water. Too hot and your skin can dry out, while water that is too cold will not remove the surface oils sufficiently. You can use a washcloth, sponge, exfoliation puff, facial brush or your fingers for cleansing - It all depends on your preference. Use approximately a dime to nickel sized amount of cleanser, follow product packaging instructions. You can apply the cleanser with your fingertips or washcloth. Depending on the cleanser type, you might want to work up a lather in your hands first. Use gentle upward circular strokes moving around the face, paying attention to the crevices of the nose area and hair line while extending down your neck and around the ear area. Take extra care to use a gentle touch around the eyes. Do not over-scrub or scrub too hard, as your facial skin is susceptible to become easily irritated. Once the cleansing is completed, rinse liberally with tepid water. Make sure all areas are rinsed including the neck, hairline and eye area. Cool water may be used, as it helps to close the pores. Finish by blotting your face gently with a towel using a patting technique. Evoté is an evolution in skincare that takes advantage of both cutting-edge ingredient technology and revolutionary research of our body's ability to restore vital functions overnight. By capitalizing on the 24-hour circadian rhythm and kinetics of our skin's natural cellular process, Evoté is fiercely challenging the status quo of anti-aging with their EVO-lutionary™ elements designed to affect the very future of our skin. Backed by 3-generations of some of the most credible and authoritative researchers in the skincare industry, Evoté utilizes the latest discoveries in biology that confirms our skin's barrier is much more receptive at night, allowing the absorption of powerful age-defying nutrients. This process maximizes our skin's natural restorative functions and helps fortify our skin's defenses for next day. In addition, their study of Epigenetics - how the environment effects our skin - has also lead them to develop a patent-pending technology that, for the first time, allows for precious melatonin to absorb directly into the top layer of the epidermis thanks to their exclusive delivery system. Evoté's comprehensive, responsive skincare collection works best when combining their 12-HR BioComplex™, designed for nighttime, with their daytime defense, White Carbon Complex™. 12 hr BioComplex™ is a patent-pending technology created to help optimize the skin's natural nighttime functions to restore, detoxify, re-energize and replenish, while White Carbon Complex™ focuses on purifying and shielding the skin's outer layers from environmental contaminants and helps the appearance of dullness. Discover what other beauty brands haven't. The truth about the evolution of modern age-defying. 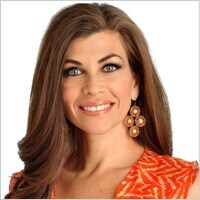 Luciene Salomone is a well-known beauty and lifestyle expert, and has been seen on several major networks and print publications. She graduated from the Fashion Institute of Technology and also attended the Institute of Culinary Education as well as the New York School of Interior Design, giving her a learned edge as an experienced tastemaker. Apply every morning, cleansing with a gentle motion. Rinse thoroughly and follow with your favorite Evoté daytime products. For external use only. Aqua (Water), Cocamidopropyl Betaine, Glycerin, Acrylates Copolymer, Disodium 2-Sulfolaurate, Sodium Methyl 2-Sulfolaurate, Peg-6 Caprylic/Capric Glycerides, Sodium Lauryl Sulfoacetate, Sodium Cocoamphoacetate, Lauryl Glucoside, Aloe Barbadensis Leaf Juice, Citrus Limon (Lemon) Fruit Extract, Moringa Pterygosperma Seed Extract, Terminalia Ferdinandiana Fruit Extract, Peg-120 Methyl Glucose Dioleate, Sodium Chloride, Xanthan Gum, Sodium Lauryl Glucose Carboxylate, Sodium Cocoyl Glutamate, Mica, Panthenol, Maltodextrin, Kaolin, Magnesium Aspartate, Zinc Gluconate, Copper Gluconate, Calcium Gluconate, Polysorbate 20 , Citric Acid , Sodium Hydroxide, Fragrance (*100% Natural Fragrance), Sodium Benzoate, Potassium Sorbate, Titanium Dioxide (Ci 77891), Carbon Black (Ci 77266).